Between November and December there is no shortage of events and busy weekends. 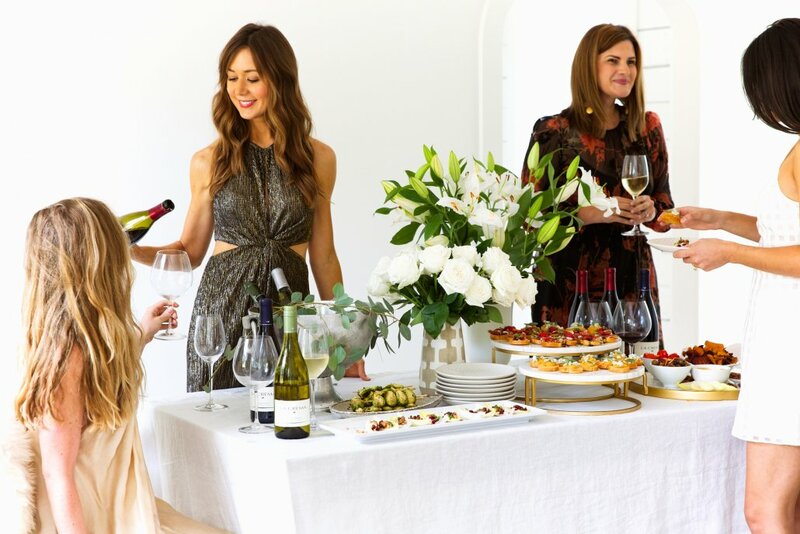 It sometimes feels like one event blurs into another, so that means planning your own holiday party needs to memorable AND relatively low-stress. Because we have enough going on during this season as it is, right? Our Brand Ambassador and entertainer extraordinaire, Camille Styles, has her fair share of a busy holiday season ahead of her. But, with the goal of having an “intentional” holiday, i.e. 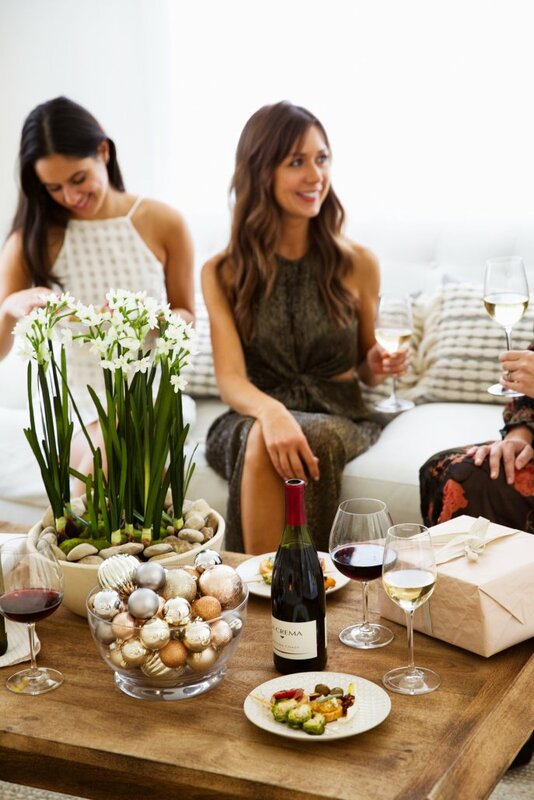 doing less, but making sure the events she commits to are in line with what means most, she’s able to manage her calendar and plan a stunning, easy to pull off holiday wine and appetizer party for her best girlfriends. 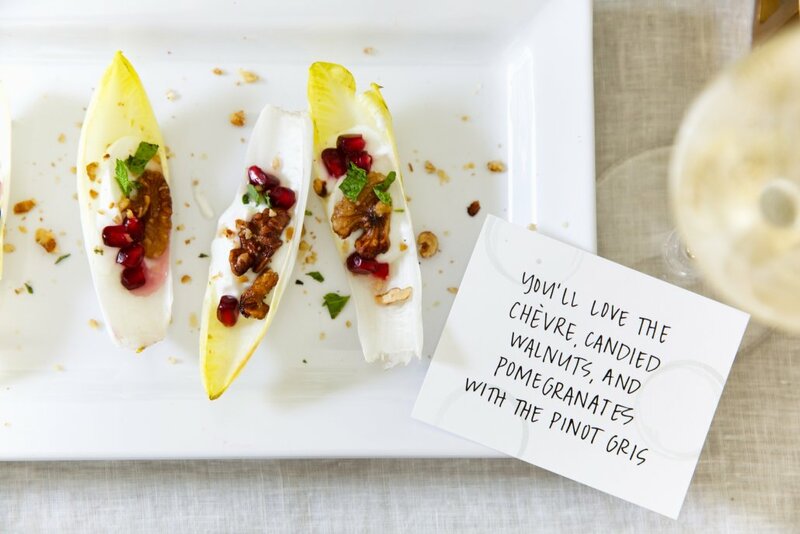 One of the best ways to make a simple holiday party look like it took tons of time is to put a little extra care into the presentation. 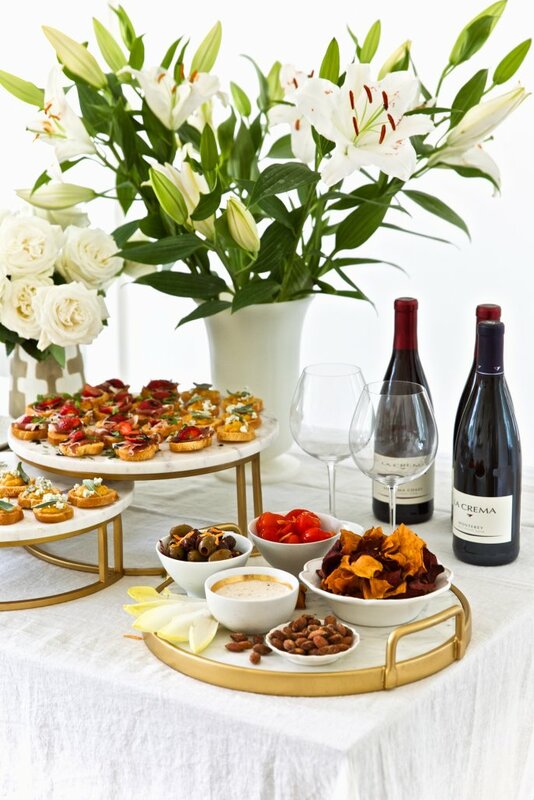 With easy bites on beautiful platters, lots of whites and metallics, and the right amount of foliage, you’re destined to impress without breaking a sweat. 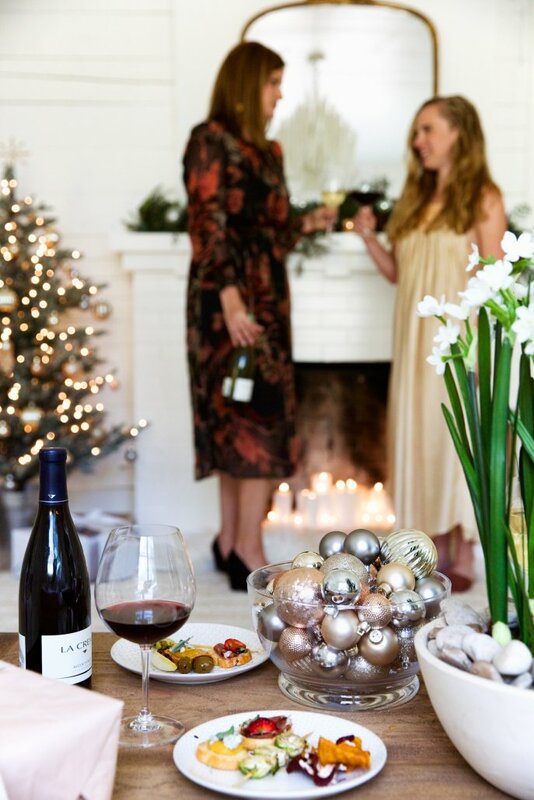 Head over to CamilleStyles.com for all the details of this delicious and beautiful holiday party, complete with La Crema wines. Endive leaves make for perfect bite-sized apps because they’re basically just little boats for food! 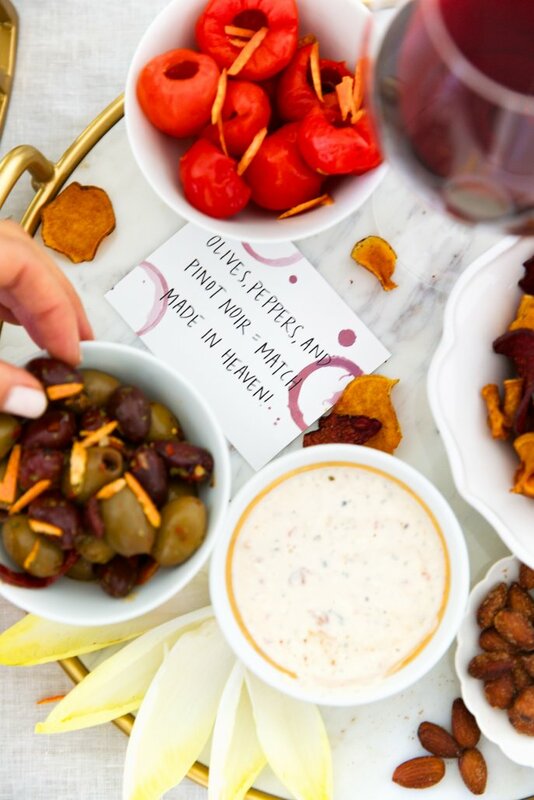 Olives and peppers are must-have holiday party apps. 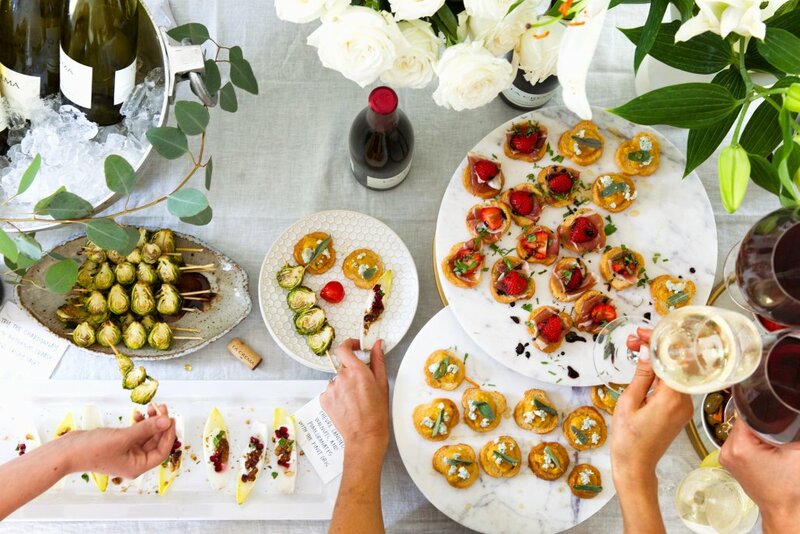 Flavor-packed crostini are a sure holiday party go-to. 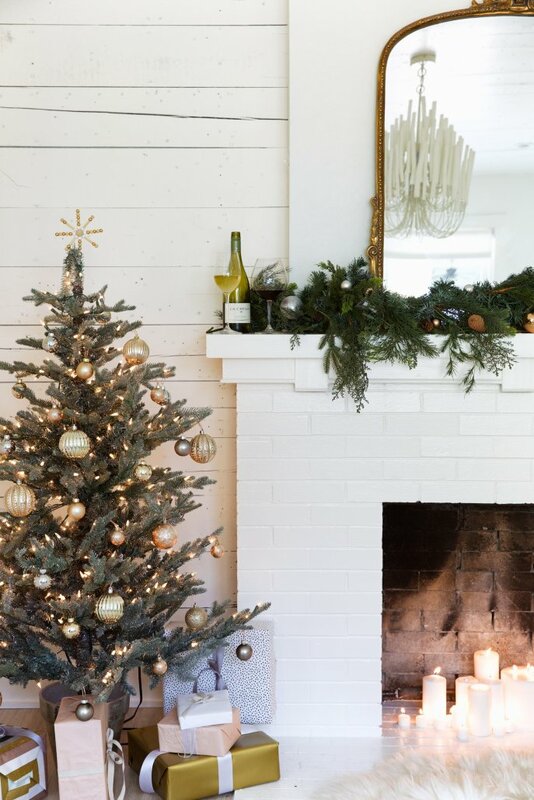 Opt for metallics to create a chic holiday vibe. 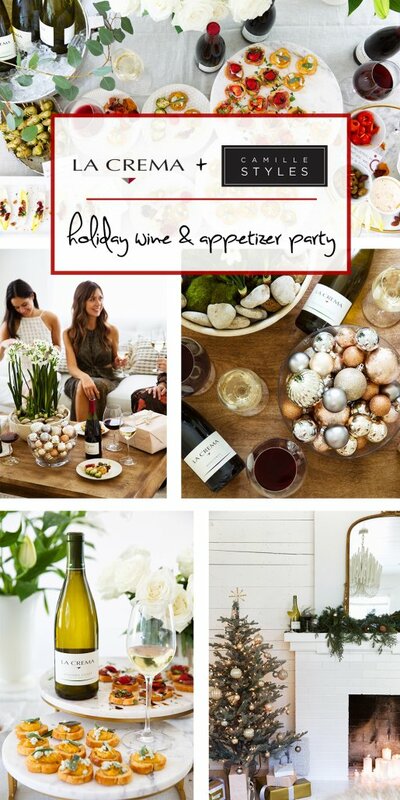 Save this Holiday Party on Pinterest! Graceful. Layered. Bold. Highly concentrated in flavor and signature smooth until the last drop.